Santander has awarded Event Management Group (EMG), in partnership with Taylor Alison Golf, the contract to manage its Abbey for Intermediaries Golf Championship 2012. 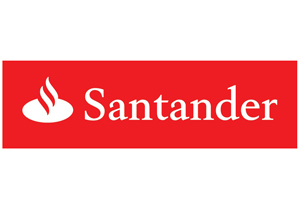 The tournament, in its second year, is organised for Santander's valued business partners and has grown from two to five regional qualifiers held across the UK. The event is running this month and culminates in June at a Wentworth Club-hosted final. EMG and Taylor Alison Golf are responsible for various aspects of the competition, including guest management, course selection, corporate branding, onsite event management, championship merchandise, prizes, catering and logistics. Jason Ludlow, EMG's managing director, said: "It's great to be working with both Taylor Alison Golf and the team at Santander on this event. "The Abbey for Intermediaries Championship is a superb tournament and it's really exciting to be involved in the project in its second year, as it goes through a period of significant growth from two regional qualifiers to five."